We got our start by building and operating an online retail store. We understand the challenges that online retail presents. If you’re looking for professional eCommerce website design in Tyler, look no further for expert knowledge and direction. We have experience setting up eCommerce stores on many different platforms. Our eCommerce websites are built with conversion optimization in mind. We run our own online stores and understand the challenges they bring. We understand the fulfillment process and can help you with packaging and shipping your products. We keep up to date on the new Internet Sales Tax law and its effects on eCommerce stores. With the new Internet Sales Tax ruling by the Supreme Court of the United States, the complexity of running an eCommerce store has increased. The new ruling overturned the 1992 case Quill v. North Dakota which prevented states from collecting any sales tax from retail purchases made over the Internet or other e-Commerce route unless the seller had a physical presence in the state.. Bailes + Zindler will work to keep your eCommerce store compliant with the new Internet Sales Tax law. WooCommerce is an eCommerce platform that integrates seamlessly with WordPress. This platform allows you to sell digital and physical products, manage inventory, manage shipping, take secure payments, and sort taxes automatically. WooCommerce powers 37% of all online stores and Bailes + Zindler can help you get set up with this great platform. For most of our E-Commerce customers, we love to recommend Shopify for their eCommerce platform. Shopify is very user friendly and can be easily learned so store owners can manage their own online store. We can create and optimize for you a Shopify store and get you selling your products online. Big Commerce is specifically designed for medium to large eCommerce websites. It offers unmatched creative content ability and design freedom to ensure the success of your online store. We can develop your online store with Big Commerce to ensure more customer conversions and store visibility. Amazon is the largest internet-based retailer in the world! We have experience with setting up Amazon stores, universal product codes (UPC), product images, and Amazon categories to get your products up on the Amazon marketplace. We even have experience getting products on Amazon Prime! 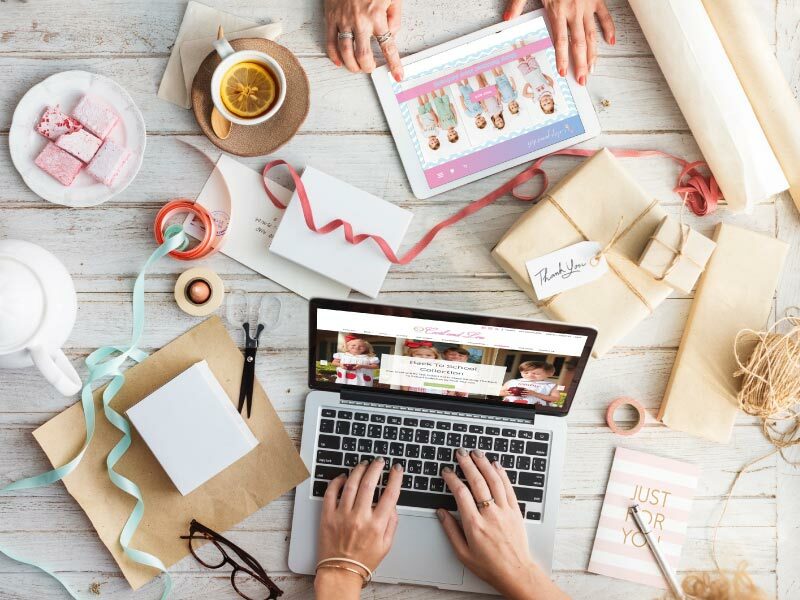 We have experience helping our clients set up online stores on many different types of eCommerce platforms, such as Volusion, Prestashop, and Soldsie. If you have an interest in any of these platforms, do not hesitate to give us a call! Getting your products to your customers is one of the biggest hurdles in running a store online! We have years of experience with packaging, labeling and shipping products to customers. We can help you find the most efficient and affordable way to fulfill your online orders. Smocked Threads by Cecil and Lou is an online retail store that sells pre-order and in stocksmocked and monogrammed children’s clothing. 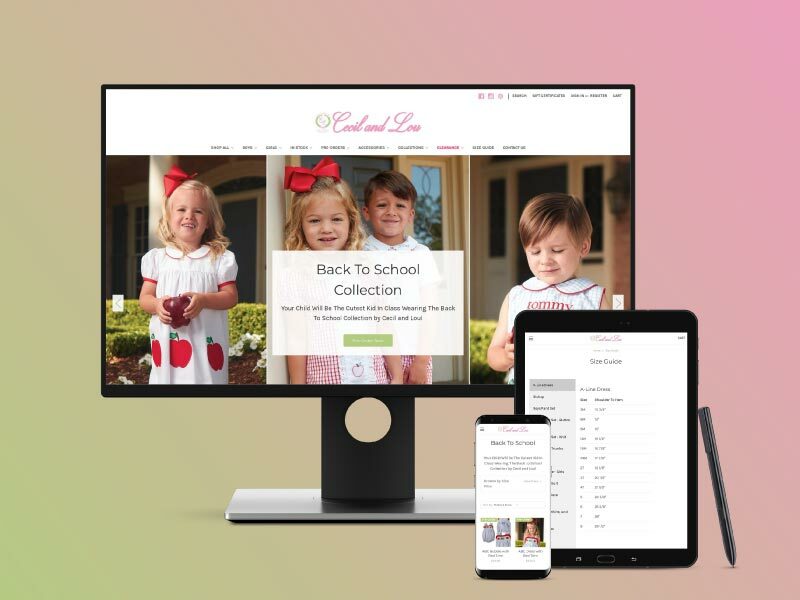 After achieving success in selling their products on social media, Cecil and Lou came to us to create an eCommerce website on BigCommerce that would showcase the brand.